Remember my rant on books that don’t have enough words. (Too Purpley! - just an eye feast.) We stumbled on Ella Sarah Gets Dressed, by Margaret Chodos-Irvine. 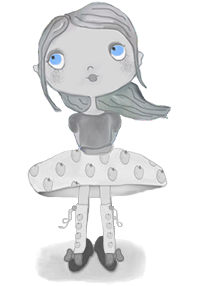 - An adorable depiction of an independent little girl who knows exactly what she wants to wear… all in 266 words. This perfect balance of text and pictures is a gift.